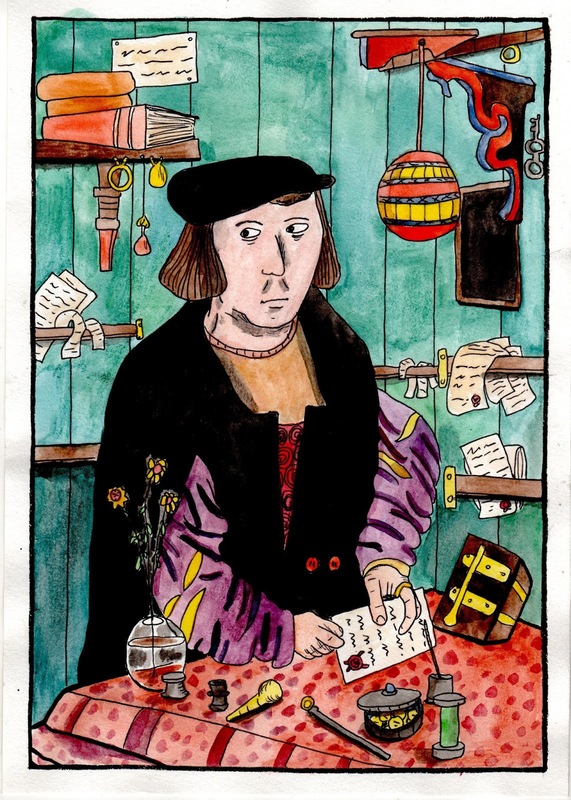 I've finished drawing my new Hanseatic set comic now. I've done a hundred pages which is a pleasing number, as I wasn't counting as I went along. I'm going to leave it for two weeks and then go through and edit it all. It might end up shorter once I've finished. I don't know what it will be called yet. Here's todays row of panels from my comic in progress. It really is near the end now. Here's todays new row of panels. Todays row of panels from my story in progress. Todays row of panels from my comic in progress.